Home » How To » Google “For Jobs” Now Available In Zimbabwe; A More Convenient Way To Look For Jobs? 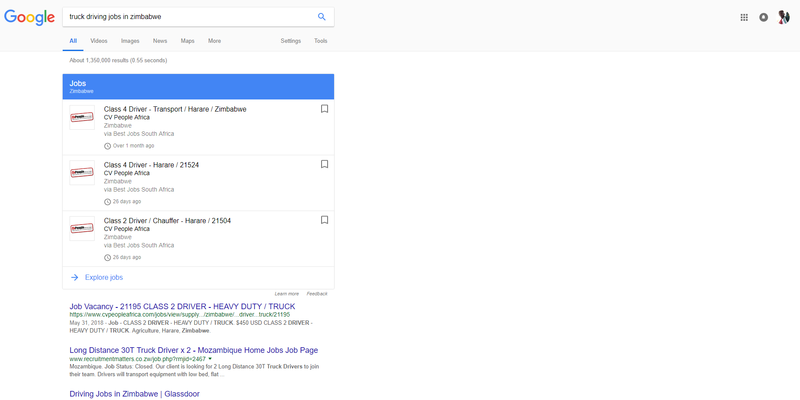 Google “For Jobs” Now Available In Zimbabwe; A More Convenient Way To Look For Jobs? We are usually excited when new features are made available to Zimbabwean. However, we are more excited when we stumble on these features by ourselves without a tip. Anyway, today was one such day where we stumble upon a new shiny thing and that thing happened to be Google’s streamlined Job search feature. Earlier this year, Google brought the Job search to Nigeria and South Africa. At that time ‘For Jobs‘, was not available in Zimbabwe and was being tested in those two countries. What’s the difference from the old search? 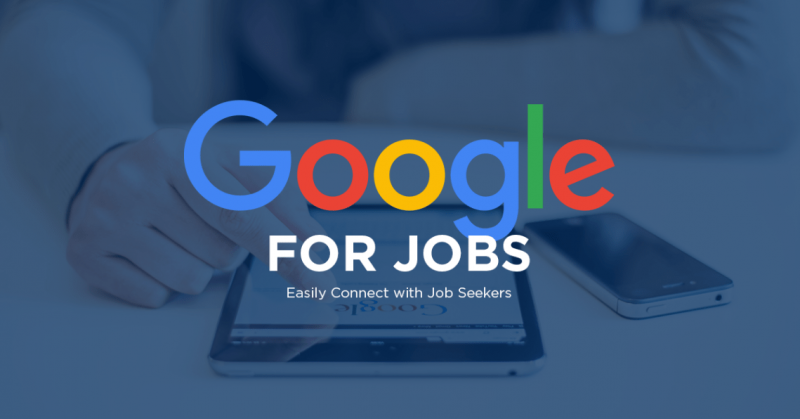 We don’t know how long Google For Jobs has been available in Zim but it’s working and it seems to provide a great way to get that job hunt under way. So how exactly does it work and what’s actually different from the search you are used to? Instead of having to check link by link to see if you’re getting relevant results, the jobs are just put in one convenient place and you get to pick whichever interests. If you go a step further and enter the jobs section then you’re in for a treat as each job is posted with details such as requirements, job decsription, organisational details and terms and conditions. The fact that you have access to all this information without even entering the website is very convenient and will save you clicks and time. The information is all layed out in a uniform manner which means you know where to look for things pretty quickly. Using Google Jobs, you can save jobs and this adds to the convenience of this feature as a whole. There are multiple websites that post job openings and if you are hunting for a job you usually end up having to bookmark websites or worse-off memorizing the websites by heart and coming back to them later. With the ability to save jobs you are at an advantage because you can always come back to one place where all your saved jobs are. You can also turn on alerts for jobs in in the same category. What this means is that if a new job is posted two hours after you checked out ‘truck driving’ you will get a notification and you won’t get to miss that opening. The fact that these alerts are coming from different sites is great and it means you are unlikely to miss out on any openings that might interest you. Though Google For Jobs champions convenience, it’s not a complete experience just as yet. The biggest problem is that right now it only offers jobs from one website; CV People Africa. The site is a great at curating jobs and posting them but the fact remains there are many other job sites locally and having that variety will ensure all angles are covered. The fact all the details are layed out similarly may also be a result of the fact that right now jobs are coming from one source so it will be interesting to see how that goes once there are other sites providing info. Secondly, I don’t think recruitment websites will be too enthused by Google’s entry into this space. Firstly ad revenue is obviously going to be affected if job seekers never actually get to the recruitment websites. If their revenue channels are threatened one would think that eventually there will be a push back so it will be interesting to see how this unfolds. Is it so hard and is it not so blatently obvious that when you mention web-related service that you include the actual link of that service? !